For more information about how claims work, see this excellent explanation. This post is not really concerned with how claims work, but rather, how to mock them out; which is much more difficult than you might guess. In the references below, you’ll see a number of different strategies to mock out the claims and principle objects. There also seems to be a loose consensus that even attempting to do this is folly. However, I’ve cobbled together a set of mocks using NSubstitute that work. I’m not claiming that they work in all cases, or that they will work in any situation other than the specific one that I am trying to solve; but it did work for that, and so I thought it useful enough to share. Remember that this is only necessary if you are trying to access claims based on the identity within the `TestMethod()`. Also, I’ll remind the reader that I assert only that this worked in the specific situation that I needed it to, but it’s probably a good starting point for others. 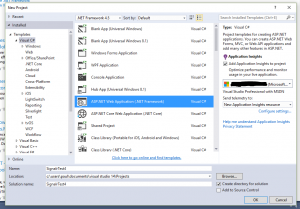 This entry was posted in ASP.NET and tagged ClaimsIdentity, ClaimsPrinciple, context, Controller, ControllerContext, Identity, IPrinciple, Mock, NSubstitute, Principle. IIdentity on October 29, 2017 by pcmichaels. 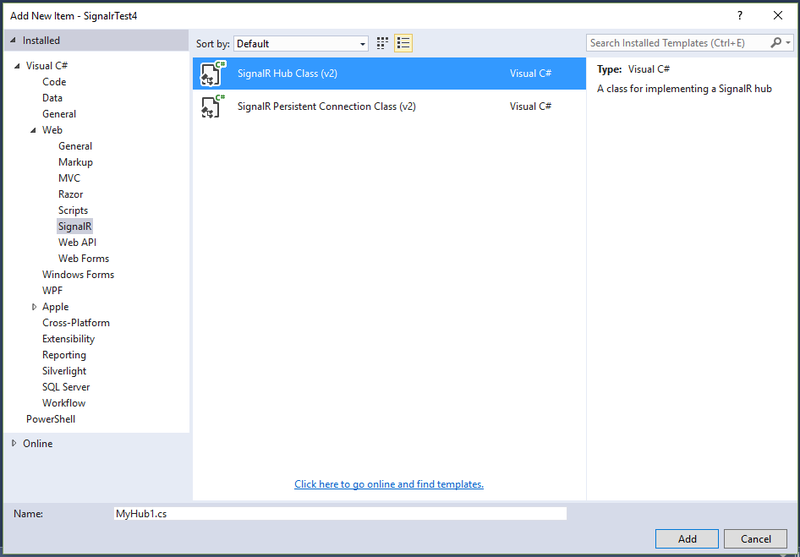 SignalR is an open source framework allowing bi-directional communication between client and server. 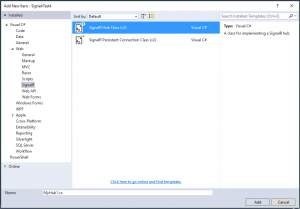 Basically, it uses a stack of technologies; the idea being that the Signalr framework will establish the “best” way to maintain a bi-directional data stream, starting with web sockets, and falling all the way back to simply polling the server. 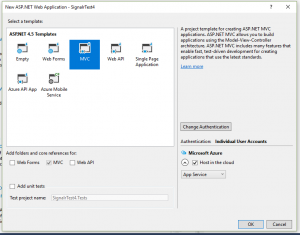 The following gives the basics of establishing a web site that can accept Signalr, and a console app that can send messages to it. Hubs are the way in which the Signalr service communicates with its clients. Obviously, the term service here may not actually represent a service. Effectively, once we receive a message, we’re just going to display an alert. Once the event handler is wired up, we try to start the hub. The purpose of bundling is to shrink the size of the bundled files. The idea being that small files make for a speedy web-site. 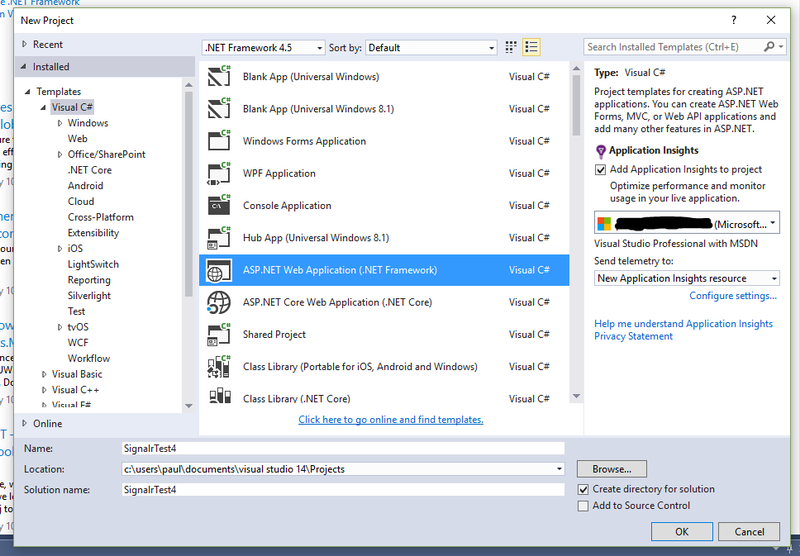 The next step is to create an application that can fire a notification to the page. In this case, I’m using a console app, just because I like to see everything working with console apps. And that’s it – you should be able to send a message to the web site from the console app. The examples that are typically given elsewhere on the net are chat rooms, but this clearly has many more uses. Some abstract notes that I made while researching this. This was for v1 Signal R – superseded in 2. During trying to get this working, the prospect of using CORS came up. This enables cross domain requests, which are typically prohibited. // Unsubscribe all hub proxies when we "disconnect". This is to ensure that we do not re-add functional call backs. 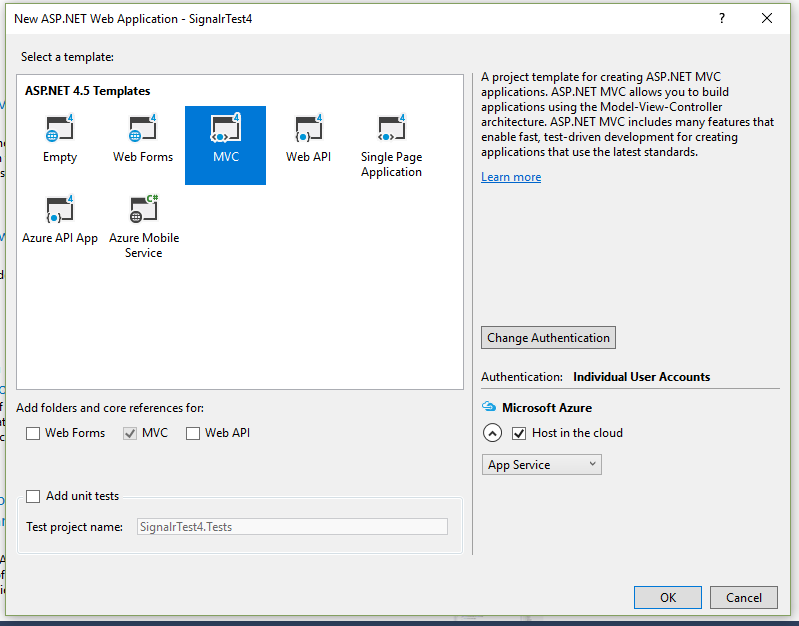 This entry was posted in ASP.NET, C#, MVC and tagged ASP.NET, c#, connection, CreateHubProxy, Hub, hub.start(), IHubProxy, MapHubs, MapSignalR, MVC, Signalr on February 16, 2017 by pcmichaels.